Francis A Jones provides audit and other services to a number of charities and not for profit organisations. We fully support these organisations and commend the great contribution they make to our community. The Fremantle Hospital Medical Research Foundation began life in 1996 to support and encourage medical research at Fremantle Hospital. The foundation receives no direct government funding, relying upon the generosity of the local community and businesses and its own fundraising endeavours. As Western Australia’s peak body for regional arts, Country Arts WA delivers a range of arts development and performing arts touring programs on behalf of the State and Federal Governments. This includes funding for arts projects, support for key regional arts organisations, Indigenous and youth specific projects as well as an extensive professional performing arts touring program. Melville Cares Inc is a community based not for profit organisation founded on a core of volunteers. From a small group of dedicated volunteers in 1984, Melville Cares has grown since incorporation in 1986, into an organisation engaging 85 staff in providing services to the frail aged and disabled, supporting their wish to remain living independently and participating in their community. FEC is a not for profit organisation returning all our resources to the community. The Centre helps organisations and individuals to focus on their needs and aspirations. They provide consultancy services for an eclectic array of local, national and international programs that support and improve learning. Gosnells Community Legal Centre Inc. promotes basic human rights, including housing, income, equality, freedom and dignity, by a variety of support services to resolve legal, economic or social issues. Giving through the Fremantle Foundation is a simple and effective way to support the communities and causes that are important to you. While the foundation is based in Fremantle, you can support any community or organisation in WA through the Fremantle Foundation. Setting up a Named Fund through the Fremantle Foundation is a powerful and rewarding way of making an ongoing impact in your community. 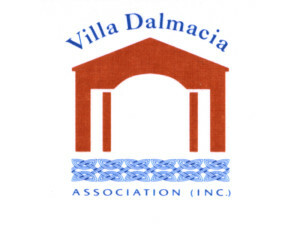 Villa Dalmacia plays an invaluable role in caring for the frail aged of Croatian, Italian, Australian and other National backgrounds. Villa Dalmacia has earned a reputation of excellence, particularly in providing culturally specific Residential Aged Care.